Minneapolis, Minn., June 9, 2016—Sentera, LLC, a global provider of UAV hardware, sensors and data management platforms, brings a whole new level of control to users with the Phoenix 2 Fixed–Wing Unmanned Aerial Vehicle (UAV), launched today. The Phoenix 2 is light–weight and highly durable, and may be the most precise drone available today. At only four pounds, the Phoenix 2 is easily hand–launched in just a few steps, and can carry multiple sensor options for up to an hour of flight time. The professional–grade autopilot is part of what makes the precision possible. It constantly auto–calculates and auto–optimizes according to the grid pattern specified to ensure the data collected meets exact specifications. Payload Solutions: The Phoenix 2 is a highly–versatile UAV that accepts multiple sensors, including the Sentera Double 4K Sensor, providing true RGB and normalized difference vegetation index (NDVI) data in a single flight. The Sentera Quad Sensor, a multi-spectral six-band imager with red edge capabilities is also popular in agriculture applications. Other compatible mapping sensors include the Sentera–Q for high–resolution orthomaps and the Radiometric Thermal Sensor, which quickly builds high–resolution true temperature maps. Sentera also offers EO and IR gimbaled payloads for live video public safety missions. Precision: Up to a 60–minute endurance and cruise speed of 30 mph, the Phoenix 2 is capable of covering broad areas that other UAVs of the same size cannot. The highly reliable and accurate Kestrel™ OnBoard autopilot ensure images are captured with precise, even spacing and overlap that is auto-calculated and can be adjusted by the user at the click of a button. Ease-of-Use: Effortlessly hand–launched in just a few steps, the four–pound Phoenix 2 flies autonomously on a predetermined flight pattern that can be updated during flight by accessing the easy–to–use ground station software. Upon completion, the Phoenix 2 automatically returns to safely land. End-to-End Solution: The Phoenix 2 includes the aircraft, ground station, transportation cases, batteries, chargers, and software with multiple training options available. Sentera offers a wide variety of sensors, ensuring every application has the perfect imagery solution. Sentera’s AgVault™ and OnTop™ Open Software Platforms manage the multitude of images and data collected during flight, and allow near–real time reading and analysis of the data, including working with other data sources via APIs. 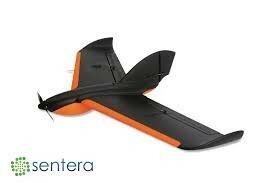 Visit http://www.sentera.com/phoenix–2 to learn more about Sentera’s Phoenix 2 UAV. Sentera is a leading designer, developer, and manufacturer of software, sensors, and UAVs in the agriculture, infrastructure, and public safety industries. Sentera has more than 200 years of combined experience with sensors, software, UAVs, data management, and engineering solutions. In a single growing season, Sentera’s equipment collected 15,500,000 million images from 16,640,000 acres and gathered 175 terabytes of data from 8,000 of flights. Learn more about Sentera at www.sentera.com.